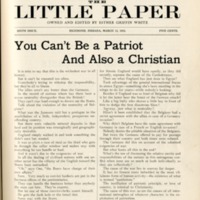 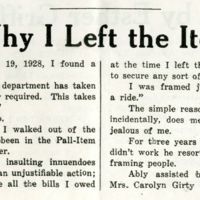 This newspaper article was written after Esther Griffin White's Death. 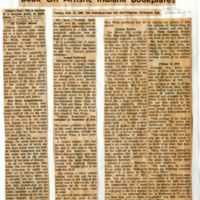 This Article was the first of a five part series on bookplates for the Palladium-Item and Sun-Telegram. 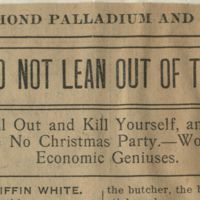 Headline of Esther Griffin White's article in the Palladium that simultaneously gossips about a Richmond citizen's public event and condones female suffragists in their ability to raise money. 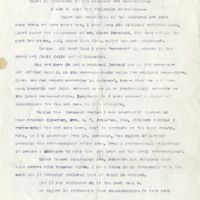 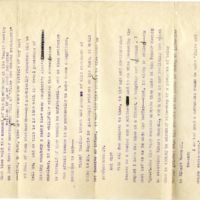 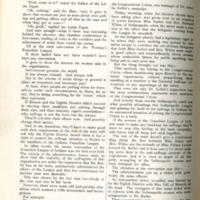 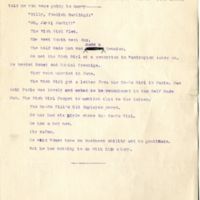 A letter written by Esther Griffin White sent to Richmond Art Association's Board of directors concerning Ella Bond Johnston's practices of publishing news concerning the Association. 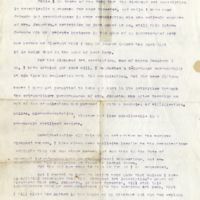 A letter written by Esther Griffin White sent to Richmond Art Association's Board of dirctors concerning Ella Bond Johnston's practices of publishing news concerning the Association. 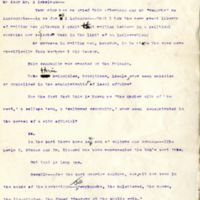 The petition for Mayor of Richmond in 1938. 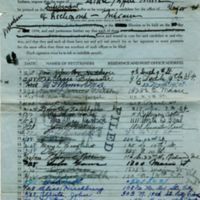 Esther was unsuccessful, however, she became the first woman ever to be on the official election ballot of Indiana. 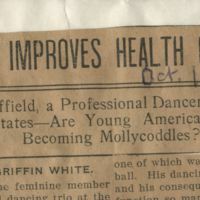 This article describes a centennial celebration put on by Earlham College. 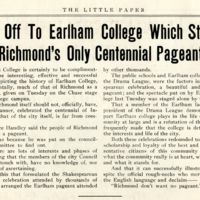 In it, Esther criticizes the city for not taking into account the wishes of Richmondites for a centennial celebration, as well as commends the college on a job well done. 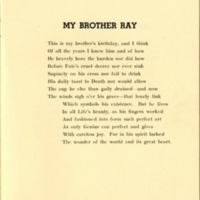 A Poem written by Esther Griffin White about her brother, Ray, sometime after his death. 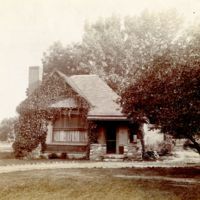 Photograph of John Elwood Bundy's cottage. 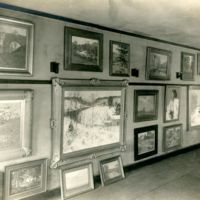 Bundy would entertain fellow artists at his studio cottage.